December 22, 2014, New York - Fashion One, the premier international fashion, entertainment and lifestyle television broadcaster, announces that the channel is already available on UK’s leading satellite TV provider, Freesat, starting this December. Viewers in the United Kingdom can now enjoy the latest fashion events, entertainment news and lifestyle programmes 24/7 in high definition, subscription free! The international channel kicks off with a one of a kind competition series that brings modeling under the deep blue in Underwater Action. Watch the tensions rise and tempers fly as aspiring models train to become one of the renowned underwater photographer Mick Gleissner's Underwater Models and be featured in his calendar. Also featuring this holiday month are four (4) feature films making its UK broadcast debuts while celebrating the season; horror film Midnight Movie, social drama The Girl With No Number, action movie Deep Gold, and suspense thriller Irreversi. "Due to popular demand, Fashion One strengthens partnership with Freesat in offering a first-class viewing experience of exclusive fashion, entertainment and lifestyle content to our UK viewers,” said Ashley Jordan, CEO of Fashion One, “We look forward to producing more engaging and captivating programmes, featuring local events as well as up and coming talents from the region." Fashion One caters to the fashionable and stylish female audience with content covering the very latest fashion, entertainment, lifestyle news, A-list celebrity profiles, luxury brands, holiday destinations and red carpet events. Showcasing all the international fashion weeks from around the world, it also delivers a strong line-up of original programmes, from reality shows to documentaries, beauty tips, and street styling. 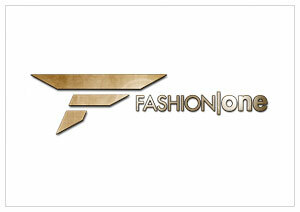 Fashion One will be a part of Freesat’s Lifestyle offering, available on channel 411. For more information on how to get Fashion One on Freesat, please visit www.freesat.co.uk.